MELVILLE HALL, Dominica – A plane has crash-landed in the Caribbean territory of Dominica after encountered some difficulty while landing at the Douglas-Charles airport in Melville Hall. According to a local media source, there were no severe injuries. 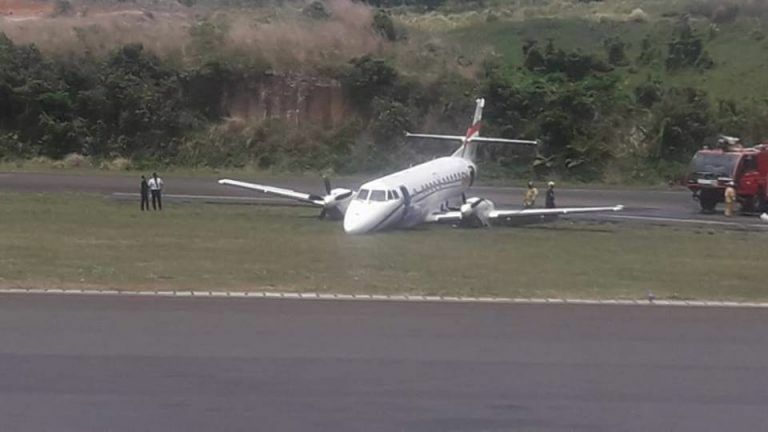 However, one person is reported to have received a cut above one of his eyes and some other passengers have complained about chest pains. 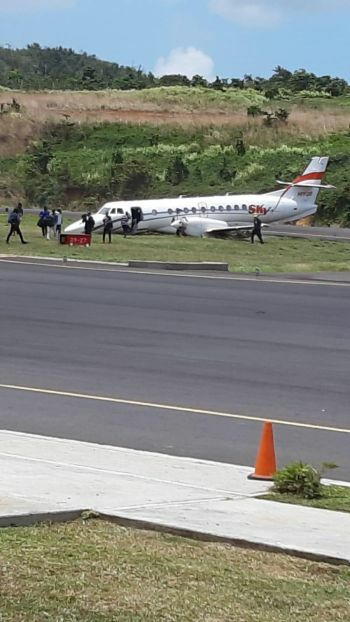 The plane, a Sky Airline aircraft, was flying from Santo Domingo, Dominican Republic to the island of Dominica. The Douglas-Charles airport has since been officially closed. Virgin Islands News Online (VINO) will bring more information as it becomes available. Thanks and Praise to God no one died or was seriously injured.. God’s Love and Mercy is just Sooo Amazing why we have to continually pray for others even those we don’t know.. Thank God there are no serious injuries or fatalities.